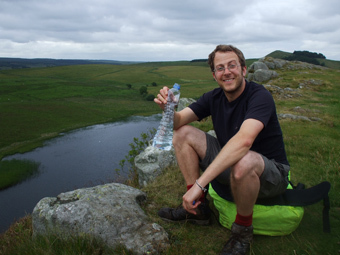 Joel Newton discovered a passion for walking national trails in 2007 when he tackled the 630-mile South-West Coast Path. Despite ill-fitting shoes that caused blisters and a bag that was far too heavy, that journey was the inspiration for many more on the long-distance paths of Britain. He has since completed Offa’s Dyke Path, West Highland Way, Great Glen Way, Hadrian’s Wall Path, Cotswold Way and sections of the Pennine Way. He is co-author of Trailblazer's South-West Coast Path series of guides (Exmoor & North Devon Coast Path, Cornwall Coast Path, Dorset & South Devon Coast Path). In 2015 he completed his fourth book and the first book written on his own, Thames Path: Thames Head to the Thames Barrier.